If the body is a temple, then the skin is the facade. Our skin is essential to our overall appearance, and healthy skin exudes beauty and confidence. Dr. Tzvi Small believes that everyone deserves to have healthy, radiant skin. At his practice serving Paramus, Bergen County, and surrounding communities, he offers skin care treatments that are among the most advanced and effective available. If you live in or near Paramus or Bergen County please contact our office to learn more about treatment with cosmetic surgeon Tzvi Small. Dr. Small's Paramus practice offers microdermabrasion, a skin care treatment popular for its non-invasive nature and excellent results. Microdermabrasion involves the use of fine abrasives such as zinc oxide or aluminum oxide crystals to lightly slough off the outermost layer of dead skin. This layer is often responsible for skin discolorations due to sun damage, age, or other factors. 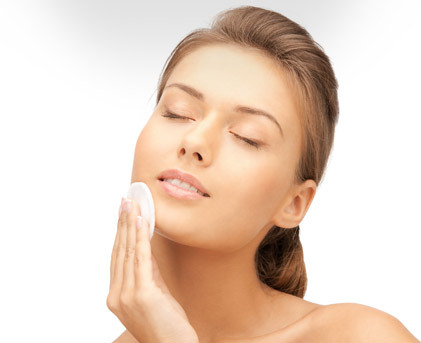 Its removal is essential to improving skin health as well as diminishing the appearance of scars and acne. Microdermabrasion works to improve the health of your skin by cleansing skin pores and eliminating dead skin cells. The result is clearer, smoother skin that can breathe thanks to the removal of superfluous cells. During the procedure, a licensed medical aesthetician uses a wand that sprays abrasive crystals to gently and effectively remove dead skin cells. The procedure is fast and painless and can be done without anesthesia. It is suggested that if you begin a microdermabrasion regimen, you should repeat the procedure as recommended by your physician to achieve the most dramatic, long-lasting results. However, we are confident that once you see your new, glowing skin, you will be happy to come back in for further treatment. To learn more about microdermabrasion, contact the office of Dr. Tzvi Small. At his Paramus office, Dr. Small performs a 25% Strength Chemical peel. This medium depth peel will improve many of the skin conditions that we all see when we look in the mirror. (blemishes, uneven skin pigmentation, wrinkles, and scars) Chemical peels work by removing the outer layer of skin through a powerful chemical reaction. Essentially, when the skin is treated with this chemical, it is encouraged to separate from underlying layers and peel away. After peeling, your skin will be softer, & smoother, with an improved texture and tone and greatly reduced hyperpigmentation. Less intimidating than lasers! Chemical peels have become increasingly popular because of their effectiveness in removing fine lines and wrinkles, as well as providing other skin health benefits. Patients who are willing to accept slight discomfort during and immediately following the procedure can see long-lasting results after just one treatment. Please contact our office for further information on how a chemical peel can improve your complexion. Please contact Bergen Plastic Surgery to schedule a consultation. Dr. Tzvi Small is one of the most trusted names in plastic surgery in Paramus. His Bergen County center offers meticulous skin care allowing him to give his patients the most comfortable and rewarding cosmetic surgery experience possible. To learn more about the skin treatments that Dr. Small offers, please contact our office today.